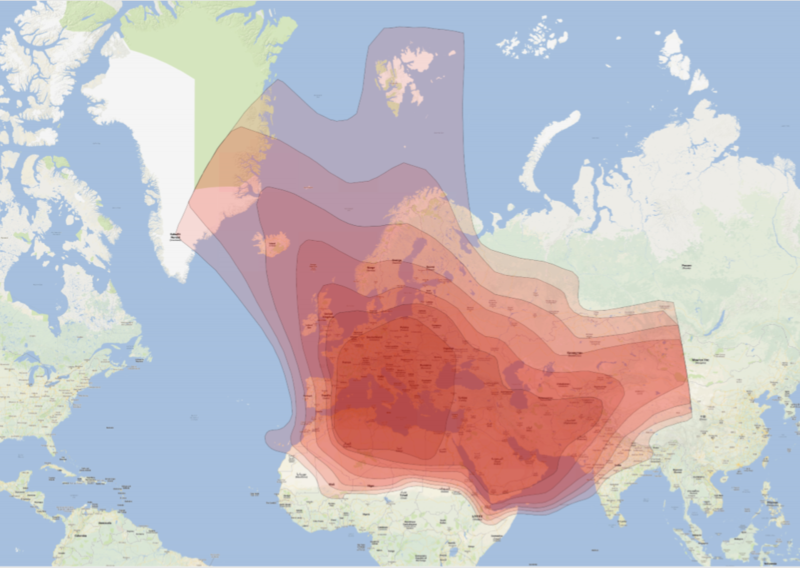 The Eutelsat 21B satellite is covering most parts of Europe, the Middle East and North Africa. Especially the most requested countries like Iraq and Afghanistan have a very good signal quality for higher modulations. Eutelsat 21B is our most flexible satellite.